The total awarded to community groups thanks to Surrey’s role in Prudential RideLondon is now more than £3.3million. In 2019 alone, more than £400,000 worth of grants has been awarded – including £150,000 towards the installation of an artificial grass pitch for multi-sport use at Cobham Rugby and Sports Association and £70,000 towards improvements to Claygate Scout Centre. The London Marathon Charitable Trust awards grants to recreational projects in areas where London Marathon Events Ltd organises events as a way of thanking communities for their support. Details of how to apply are on The Trust’s website. Full details of the grants awarded since the inaugural RideLondon-Surrey events in 2013 are available here and here. 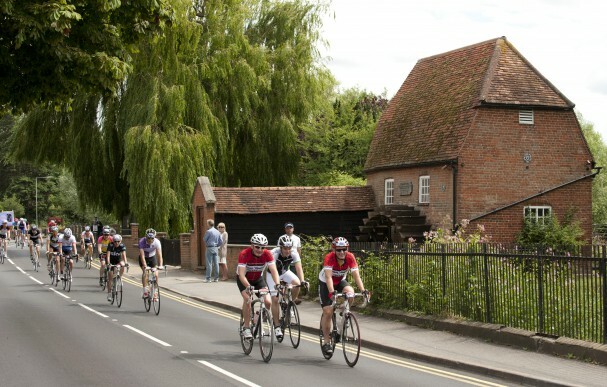 Prudential RideLondon returns to Surrey for a seventh year on Sunday 4 August. For more details, visit the organiser’s website.